Twice a year the M/V David B relocates from Bellingham to Alaska – Northbound in May and Southbound in August. It takes us 12 days in total and there is a lot to see and do along the way. 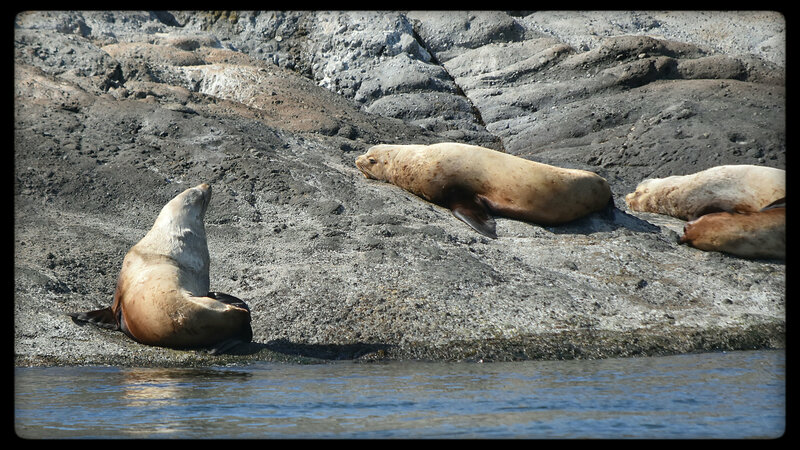 Here are Captain Jeffrey’s highlights from this year’s Northbound trip through the Canadian Inside Passage. After a little delay to handle some customs paperwork, we were off. Beautiful weather, and a quiet anchorage with an evening class about Tides and Currents. On to Canada, with lots of help steering and operating the boat. We ran Dodd Narrows a little early, just for fun. An early start and long day of crossing the Straits of Georgia, but with perfect weather and Orca whales just before we got to Desolation Sound. Lots of discussion of cruising boat types and what people liked and a little about bouys thrown in. No other boats could be seen from our anchorage. We didn’t need to leave to early to make our Yulculta Rapids time so there was time for a beautiful hike to a lake, then on through the rapids, also a little early, and very swirly. No time schedule again, but lots of miles to make. We stopped in at Blind bay lodge to go for another walk, then headed up Johnstone Strait. More discussion of route planning and currents. Had Pearse Islands anchorage to ourselves. Made a morning stop at Alert Bay to visit the native cultural center, then on across Queen Charlotte Strait to a quiet anchorage by ourselves again.Several guests went kayaking in the beautiful early evening light. Sunsets are already noticeably later. Early morning start for a very smooth crossing of Queen Charlotte Sound, with beautiful sun and a light breeze from astern. Amy chose the evening’s anchorage, a tight little cove with the tree branches right to the water’s edge, which were alone in, again. 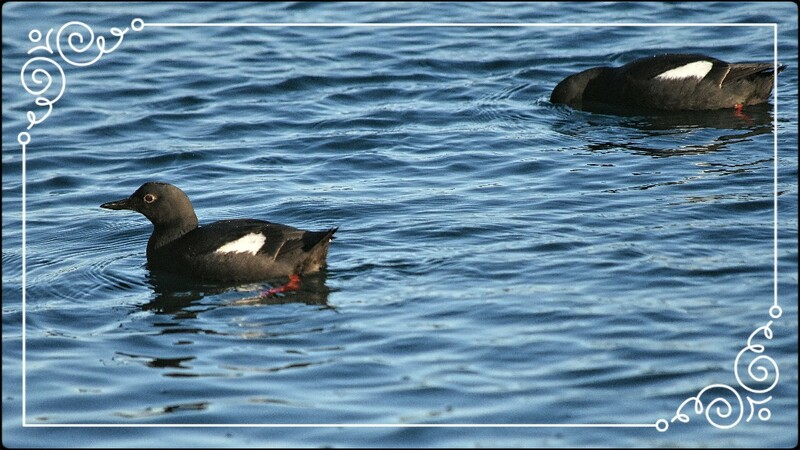 Sea Otters, shearwaters and Jaegers along the way. A late morning start, and lots of navigating through narrow tree lined passages. Everyone who wanted to has had some time at the helm, with J. taking us through Reid Passage and H. going through Jackson Narrows later in the day. Always the required brief stop at Butedale, which is slowly crumbling into the forest, lots and lots of waterfalls, then Whales! Humpback whales lunge feeding right off Kingcome point. Of course, we were alone in the anchorage. D.drove the boat for the entire day, through Grenville channel. There was kayaking and skiff rides before dinner. We happened to be at the reversing rapids at the Lagoon just before slack water, so we came back in the skiff with better raingear and cameras and got to explore the lagoon for the first time. Again, by ourselves, and a great toast to Christine on her Birthday. Left early, and drove through Prince Rupert, just as 2 ships were maneuvering to and from the dock, lots of discussion of passing situations etc. Very seldom have we been in Brundige by ourselves, but once again, for our last night, we were alone. One last early morning start, and a good chance to see how the new Tin Hat was in bigger seas, probably three to five feet, and as expected, much more comfortable than before. Just as we were approaching Ketchikan, the welcoming committee of bald eagles and whales showed up. J spotted the whale first, and we were able to turn and watch for a couple minutes before we headed into town, the trip a complete success! If you would like to book a trip on our Southbound 12-day trip, we still have spots available. Just email Sarah@northwestnavigation.com for more information. 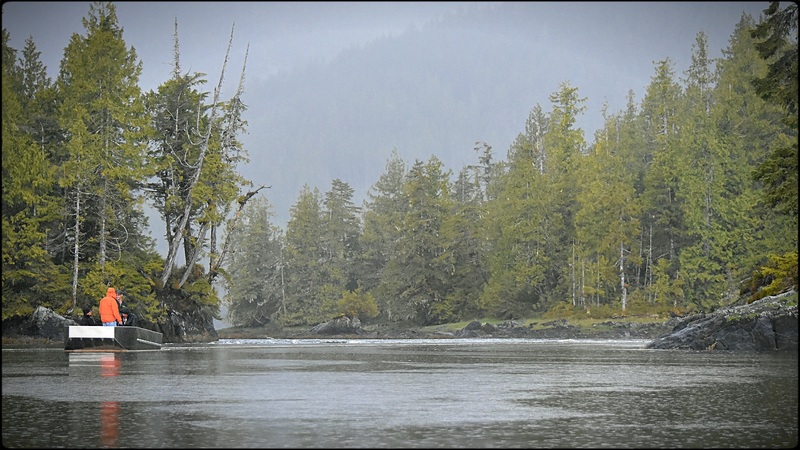 We still have a 8 spots available for Alaska Trip #302 – July 30 to August 6 from Juneau to Petersburg. Here is a sample itinerary. Since we are just over two months away, I am able to offer a 20% discount on this trip. Normally this trip price is $5,900 per person, but with the discount you save over $1,000 for a discounted price of $4,720. Contact Sarah@northwestnavigation.com for details and to make your reservation. Not ready for Alaska? Consider the San Juan Islands. We still have plenty of spots available once the David B returns from Alaska in August. Just look at our Schedule and then email Sarah@northwestnavigation.com to reserve your spot today! Thank you to everyone who helped us with the Tin Hat Project and everyone who came to our open boat on Saturday. This was an incredibly fun project that turned out more beautiful than we imagined! Many thanks to our Open Boat Guests & Miss Stacy Shearman for the lovely bouquet! This is really exciting! We are teaming up with AdventuresNW Magazine editor John D’Onofrio, and Quicksliver Photo Lab’s Digital Imaging Specialist and instructor, Alan Sanders for an 8-Day Photography Cruise in Glacier Bay.We’ve been working with John and Alan over the last several months to develop a special cruise for photographers that combines all the excitement of our Alaska trips with hands-on intensive instruction, new techniques for photography, and nightly constructive critique sessions. If you’ve been on the David B before, you know I’m a complete and total Shutter Bug and having a chance to have two great instructors aboard the David B makes me absolutely giddy! 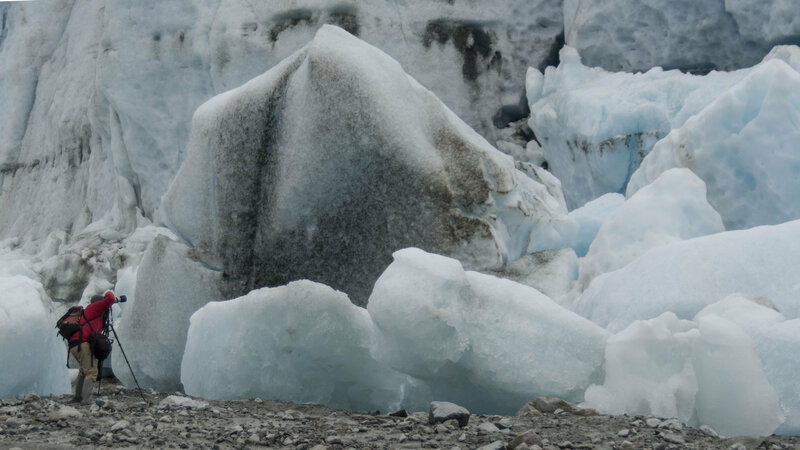 I’m looking forward to this trip as a way to share the beauty and magnificence of Glacier Bay with you, as well as, having the opportunity to learn a whole lot more about how to take great photographs! If you’d like to join us on this special cruise, visit our website for more information or give Sarah a call at 877-670-7863 or send her an email. 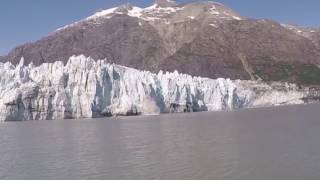 In the meantime, please enjoy the little video below I made from a trip we did last summer to Glacier Bay with Captain Jeffrey’s family and a couple of our good friends. We reached a major milestone in the Tin Hat Project this week, we put on the hat. Early Tuesday morning just in time for sunrise we got underway. 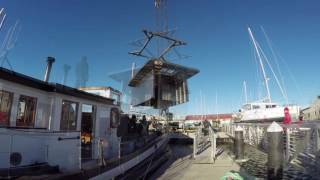 It was cold, sunny and beautiful on Bellingham Bay as we moved the David B from our slip in Squalicum Harbor to the Landings at Colony Wharf where a crane was ready to lift the Tin Hat from the shore and place it on the David B. Check out our latest video update to see us driving the David B as a convertible, the Tin Hat being lifted and set in place, and then heading back to our slip. Thank you to Fluid Fabrication for a great job on the Tin Hat, and thank you to The Landings at Colony Wharf for a such an impressive move! Now that The Hat is on, we have a lot of work to do to get it outfitted and ready to go for spring! 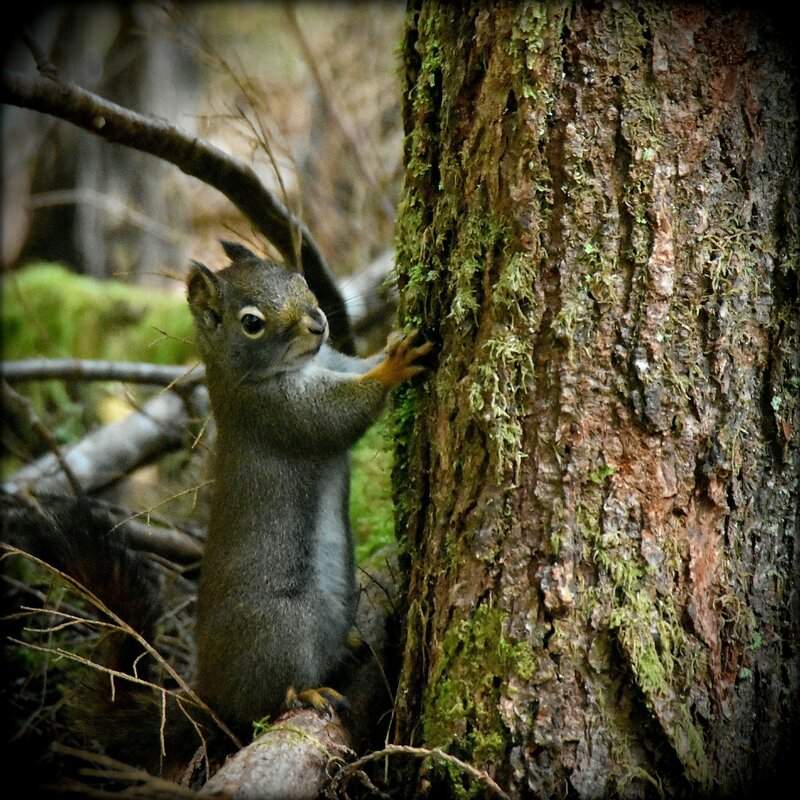 We hope you’ll keep following our progress and maybe even come along on a trip with us in Alaska, the Inside Passage or in the San Juan Islands this summer to experience for yourself the new and improved David B! Setting the David B's new pilothouse on deck. Well, it’s been scheduled, the day is almost here, and so long as there aren’t any unanticipated problems or bad weather, the Tin Hat will be lifted onto the David B next Tuesday, December 6th! We don’t have an exact time yet, but first thing in the morning, we’ll be driving the David B to Colony Wharf in Bellingham where the new pilothouse will waiting on a trailer and a crane will be ready to lift the house on to the boat. If you’re interested in watching,we’d love for you to come on down. If you do, park on Roeder Ave in the block between F street and C street or on C street by Hana Teriyaki and walk in since there is a lot of construction going on around Colony Wharf. It’s pretty obvious where to go because there’s really only one big crane in the area. Feel free to email me if you need directions. As the off-season moves along, I’m getting really excited for our upcoming cruises this summer. I can’t wait to see people on the boat relaxing in the saloon or watching whales outside under covered decks. It’s going to be amazing! Be sure to send Sarah an email or give her a call at 877-670-7863 if you are interested in any of our Alaska, Inside Passage, or San Juan Islands trips this summer or beyond. 2017 is going to be the best year ever! Here's a compilation of the Tin Hat going together. Something I look forward to every year when we are running trips on the David B are the occasional visits by Dalls porpoises. These mid-sized sea mammals that looks deceptively like baby killer whales love to surf bow wakes. We often see them in the Inside Passage and Alaska. Usually they are foraging for fish, but sometimes, they turn their attention to the David B. It begins with seeing their characteristic rooter-tail splashing a ways off, and with surprising speed, they soon rush up alongside of the boat, and then they begin jockeying for the prime spot just in front of the boat’s stem. It’s a thrill to watch their speed and their agility. 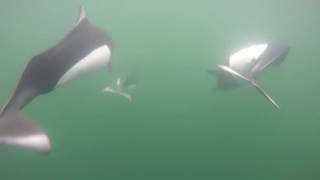 Here’s a little complication of a few of the amazing experiences we’ve had with surfing Dalls porpoises. This week saw lots of progress on the Tin Hat Project. 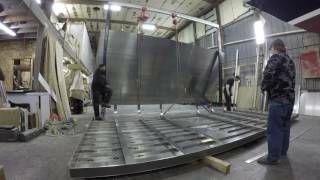 We stopped in at Fluid Fabrication to see how things were taking shape. They’d begun assembling the framework for the front of the pilothouse. It was the first time we got to see the curving lines of the new house for real. We’re not sure exactly how long it will take them to finish welding, but my feeling is soon. Maybe just a couple more weeks until we can bring the boat over and have the house put on.